Maybe it was the quick visit to Canada that got me inspired, but this week I finally got around to entering one of Spoonflower's weekly design challenges. The theme for the week was "Fall Leaves", and here's my entry. 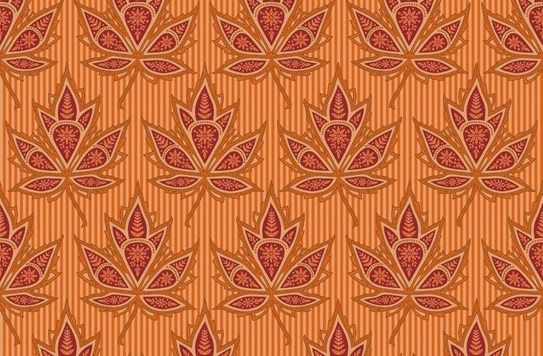 I'd love if you'd pop over to the Spoonflower site and vote for my design – and any others that catch your eye of course! The contests page is here, and you don't need to be a member of the site to vote. I just missed the best of the autumn colours in Canada by a couple of weeks, but it was still really beautiful there. Amy, my sister, is living with her husband and little boy, in a small town outside Ottawa. 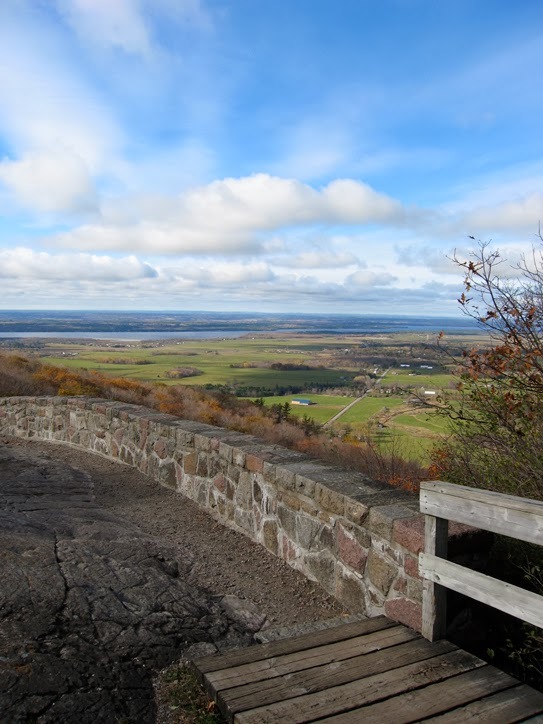 On the last day I was there, we rugged up against the cold and went to the Eardley escarpment to get the best view of the countryside. When I say cold, it was probably as cold as it ever gets on a Melbourne winter's day 7–9ºC (45ºF). I just can't imagine what it's going to be like there in winter. 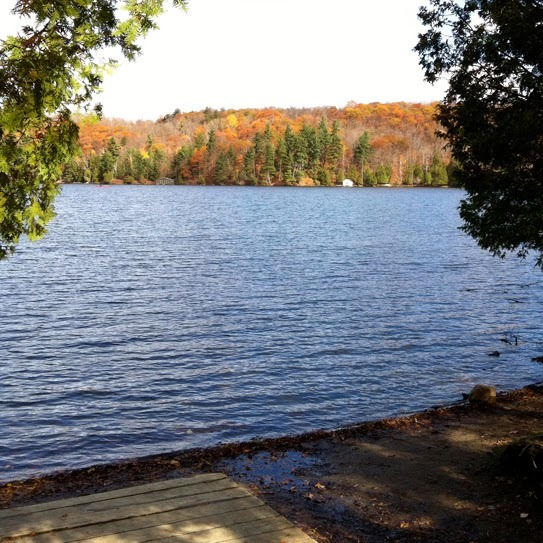 Also nearby is Meech Lake which has some of the loveliest homes along its edges. It was quite funny seeing the little beach at one end that even has its own lifeguard tower chair set up. Quite different to the lifeguard's job at an Aussie beach, I'd imagine! 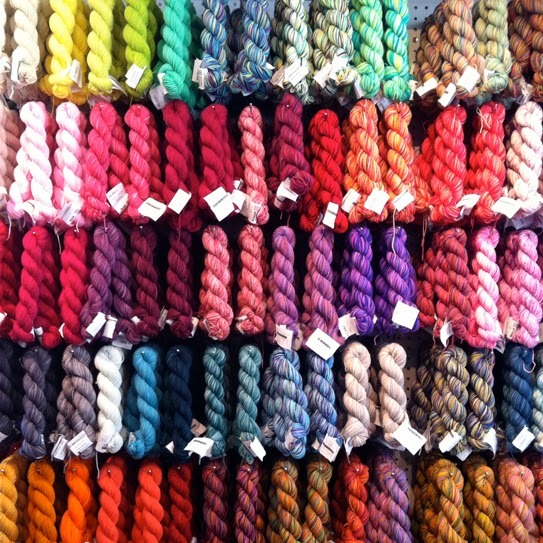 Of course I also managed to squeeze in a few yarn shops while I was there. How's this for an amazing wall of colour? This was taken in Espace Tricot. They had a large selection of yarn, as well as patterns, accessories, etc. Amy and I spent quite a while deciding what to buy. I particularly like to buy something local while I'm travelling – something I can't necessarily get at home, or something the area might be known for. I'll do a trip round-up of the crafty places I went and the things I bought soon, but Amy got this beautiful Canadian wool called Sweet Georgia. 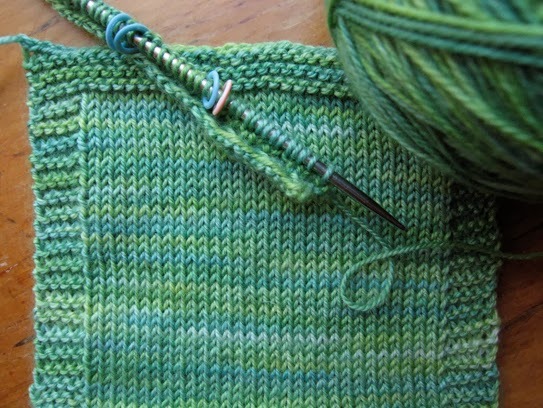 She's knitting up a little cardigan with it at the moment – this is her test swatch. I just love the colour variation in this don't you? I've had a bit of the post-holiday blues this week, so it's been nice writing this post. It's almost like reliving the trip! I couldn't believe there were so many entries in Spoonflower's weekly design challenge. Do they get that many every week? It was mind boggling! I love that Sweet Georgia wool - such subtle colour variations. No, definitely not that many every week. I think this week was a really popular and quite easy theme, plus you can enter designs you've already got sitting there, you don't have to create from scratch like I did. As to the Sweet Georgia, I'm kind of regretting not getting any myself now... Although I could always get Ames onto it I suppose. Did you have a look at their website?